WARNING: This will no doubt be a ridiculously long blog post, sorry in advance! I really enjoy writing a round-up of what I've read each month, but for some reason the last one I did was for November. I want to get back into it at the end of this month but I also didn't want to not mention the books I've read since then. Turns out I managed to get through a healthy 54 books throughout 2017, surpassing my target of 52. I have set myself the goal of 55 books this year in order to continue with that - but I'm quite far behind...! As this post is already incredibly long, I haven't included the books I read for blog tours. If you'd like, you can check out the full reviews: Dark Game, Prosecco and Promises, Something Changed, and The Study of Silence. Apple Tree Yard was recently turned into a BBC series, a sign that I'd probably love the novel. With that in mind, I avoided the tv show completely and picked this up knowing absolutely nothing about the story. I'm really glad I did, although I do admit to picturing the main character as looking exactly like Emily Watson the entire way through. I don't want to spoil this story for anyone because, as I said, I really enjoyed not knowing where this was going. Doughty's writing is right up my alley - it is lyrical and emotive, while also dragging you slowly into the web of this psychological thriller. For me, this also hit the perfect balance of thrilling without being unbelievable. While the characters made choices I would hope I wouldn't, I could understand the reasoning behind many of them. It didn't feel obviously like a story - it was at times like reading through someone's diary. I didn't expect too much from this, but the highly unusual story-weaving combined with a compelling and tense plotline made this one of my favourite reads of 2017. I've seen a lot of people rave about this book since I finished it, but again, I opened this knowing absolutely zilch about it. I believe I was sent it via Netgalley, so I didn't even remember reading the blurb. I honestly find the plotline a little hard to get to grips with so excuse me if my synopsis seems complicated. 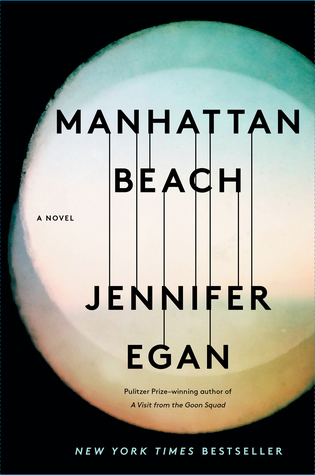 The book opens in the Depression era, with 11-year-old Anna Kerrigan accompanying her father, Eddie, to a meeting at the lavish home of Dexter Styles, a nightclub owner with mob connections. Eddie is looking for work in order to care for his disabled daughter Lydia, but is he in over his head with Dexter? Years pass and Eddie has disappeared from Anna's life. She supports her mother and Lydia by working in the Brooklyn Naval Yard during the war. Her precociousness shows as she becomes the first female scuba diver in the yard, helping to repair ships. One night, she has a chance encounter with Dexter Styles - and their complicated relationship leads her to question Eddie's disappearance. Where did he go, and why? I feel so conflicted about this book. There are three main themes in it: Anna's work in a male-dominated industry, Eddie's past and his ties to the criminal underworld, and Dexter's influence on them both. There are lots of time-jumps and perspective shifts, and although I enjoyed parts of it very much, overall the book felt very disjointed and confusing. Anna's storyline was my favourite part, but there were pages and pages of superfluous detail about her learning to dive. The entire inclusion of her sister, Lydia, didn't seem to come to any real conclusion or have any real influence. I was a bit disappointed by the way the stories were tied together; Dexter was an important part of both their lives but there was never the climax in either story that I was really hoping for. It was as if the novel was actually formed of short stories about the same group of characters. Despite this, the prose is beautifully written, with a vivid eye for detail. I was definitely drawn in by the writing, but the overall story was clunky. Another book that I was sent via Netgalley, and frankly this is one I spent most of my time eye-rolling through. I am a big fan of true crime, and I can clearly see the influence of Making A Murderer and the Serial podcast on this book. I really wanted to like this; the premise seemed so intriguing. But this book just ended up annoying me, to be honest. Samantha is naive to the point it irritated me. I understand that the character was meant to be a lonely woman - hence her attraction to the 'misunderstood murderer' - but I just don't believe any grown woman would be such a wet blanket all the time. I found myself exasperated by the one-dimensional actions of Dennis, who was written as if he was a cartoon villain. Like, yes, we get it - is he all he seems??? But there was just no subtlety to any of it - less psychological thriller, more smashing-your-face-in with 'clues'. Also, I found the ending of this just ridiculous. Next to nothing of real importance happens for ages, and then the last few chapters contain the most unrealistic, unbelievable story. I was glad to be finished with it. Only gave this two stars as for some reason I still wanted to know what happened. Anne and Marco are invited to a dinner party at their neighbour's house. Their babysitter has cancelled last minute, and the neighbour can't stand the sound of the baby wailing, so Anne is reluctant to leave their six-month-old. Marco persuades her to leave their child asleep in their house, take a baby monitor and check on her every half hour. Unsurprisingly, the baby is taken during the course of the night. Now the police are here, investigating her disappearance, and unearthing secrets at every turn. Who has taken baby Cora - and why? This starts off with a real forehead-smack of a decision - a "what the hell were you thinking?!" moment. It then races through a story with more twists and turns than any ride at Alton Towers. The pacing of this was great; the tension and frantic distress of the family were palpable. And to begin with, at least, the story was riveting and engaging. Secrets and doubts started to tumble out of the characters, and the web became more and more entangled. There were no good guys in this tale - no one came out of this with clean hands. What let me down a bit was the ending. I'm all for the idea that 'the truth is stranger than fiction' in a plotline, but this erred more on the side of convoluted and over-egging the pudding somewhat. I wish this had been reined in a little as it would've been a much more satisfying conclusion. As it is, it's still worth a read, but it's not my favourite book ever. Let's get this out of the way - I'm a huge Philippa Gregory fan, I own most of her books and I'm re-reading them. There will be a lot of Philippa Gregory books in my reading round-ups, sorry about it. Hannah Green is a Spanish Jew who, in 1553, flees her homeland due to religious persecution. She meets Robert Dudley, a nobleman who recognises her 'Gift' of Holy foresight. He takes her to court where she serves as a Holy Fool for Mary I, but Dudley soon draws her into his twisted web of plots. A Jewish girl pretending to be a Christian, serving a Catholic Queen while befriending the Protestant Princess, a Fool who is being used as a spy, engaged to a Jewish boy but in love with Robert Dudley - Hannah is a mess of contradictions and conspiracies. Caught between the two sisters in a dangerous time, Hannah has to balance her loyalties and act carefully to stay safe. Philippa Gregory's books really do transport me to another time and place, and this was no exception. I liked the concept of a fictional story being told alongside real historical events; the freedom Gregory had with this plot makes it a highly entertaining read. It was also nice to have a story where I didn't know the final outcome before starting it. Hannah Green can be an exasperating character at times, but I really enjoyed reading about her turmoil - particularly without knowing whether or not it would be resolved (hope that doesn't make me sound too mean). It's not my favourite book by Gregory, but this is one that I definitely enjoyed - a lot more than the other one I've read recently! I read All The Bright Places last year and was really moved by it. I hadn't read such an emotive and poignant YA book before, so I had high hopes for Holding Up The Universe. Unfortunately, it just didn't really deliver. The story is told by Libby, who used to be "America's Fattest Teen". Struggling with the grief from her mother's passing, she gained a large amount of weight and had to be cut out of her home. Now she's lost a considerable amount of weight and is about to go to high school for the first time. But all anyone can see is her size. Then there's Jack, the cool guy with all the swagger. But he is hiding his own secret: he has prosopagnosia, the inability to recognise faces. When the two cross paths via group counselling they finally begin to realise that the things that make us different are the things that make us special. Or some such nonsense. Honestly, this book was just a bit blah. 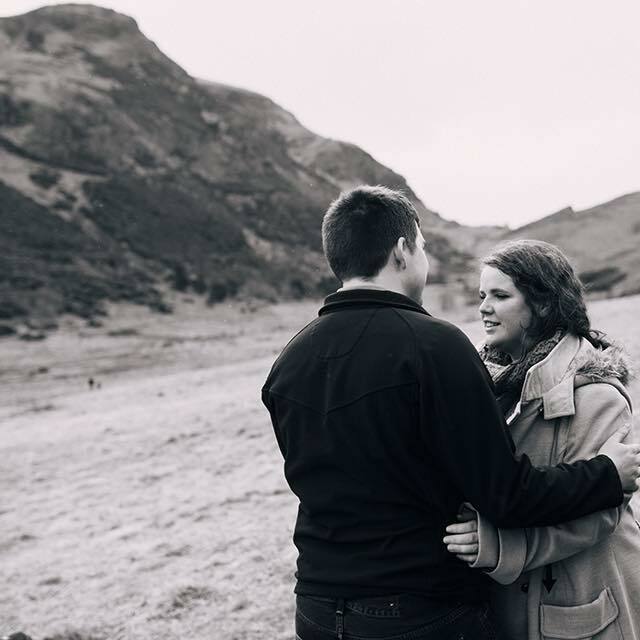 It was fairly inoffensive (although the constant rambling from Libby about falling in love, as if fat people are lucky to be thought of as romantic beings, was kind of mind-numbing). My main issue is that there was absolutely no chemistry between these two characters. It went from two individuals with absolutely nothing in common, to two individuals with nothing in common who for some reason had feelings for each other as if they were each other's only options. I find it hard to believe this is from the same author as All The Bright Places, as that book - for me at least - really captured the sense of kinship and belonging that some high school relationships bring. This felt so tepid in comparison, like even Libby and Jack weren't that arsed what happened to them. The book is fine, short and over quickly, but nothing groundbreaking or even close to moving. Having heard such great things about the TV show, I again decided to read the book first, and I'm glad I did! Big Little Lies follows Madeline, Celeste and Jane, three mothers of children starting at the same kindergarten. Madeline is a human hurricane, funny, passionate and outspoken, with a flair for the dramatic, and a family life that is becoming very complicated. Celeste is a beautiful, elegant woman with what looks like the perfect life, but she is hiding a secret life from those around her. Jane is young, sad, and haunted by ghosts - and when her son Ziggy starts in the school, a chain of events is set off that will change all of their lives. I found this book so readable - in fact I finished it in one sitting. I absolutely loved the tone of the book, it struck the perfect balance between being hilarious and being totally raw and heartfelt. I really enjoy the little statements from the kindergarten parents and teachers at the end of each chapter which kept me absolutely hooked - I was desperate to find out what had happened! When the 'big reveal' did happen I was floored, I genuinely stared at the page for a good 30 seconds while my feelings processed. I was so grateful I hadn't seen any spoilers! This took some really serious topics and managed to still come out of it as a fun, entertaining read. 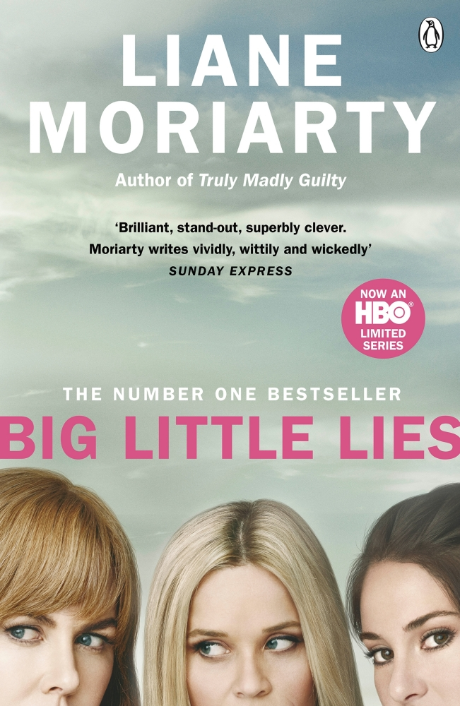 I am really looking forward to reading more of Moriarty's work, I have a copy of Truly Madly Guilty sitting on my shelf which is just calling my name now! As I've said, I'm a huge Philippa Gregory fan, but this isn't my type of book really. I love a historical fiction, and I love the way Gregory crafts an environment, but I much prefer her realistic portrayals to the more 'out there' fictions she sometimes creates. I just found this really hard to get on board with - when I read historical fiction I want it to actually tell me about history, not a weird, overly sexual portrayal of witchcraft. I also really dislike the character of Alys. I don't think you're really meant to like her, but good lord is she annoying! She's the most selfish, self-interested character I've read, and she seems to betray anyone and everyone so long as it suits her needs. I just found myself wanting her to get a huge comeuppance, and I didn't really like reading about her twisted plots when I just wanted her to get what she deserved. Without spoiling anything, there's also a really large part of the witchcraft plot that didn't really have a satisfying conclusion, so it felt a bit like it just ran out of steam and wasted my time. It's still a well-written and engaging book, but if you haven't read any Philippa Gregory before, this is not the one to start with. Congratulations if you made it to the end of this, it's longer than most of my uni assignments - you're an absolute trooper! I promise the next update won't be nearly this long! Let me know what you've been reading recently - anything you'd recommend or advise I avoid? Aaaaaand more books on my GoodReads 'Want to Read' list.... Thanks, Bethany! 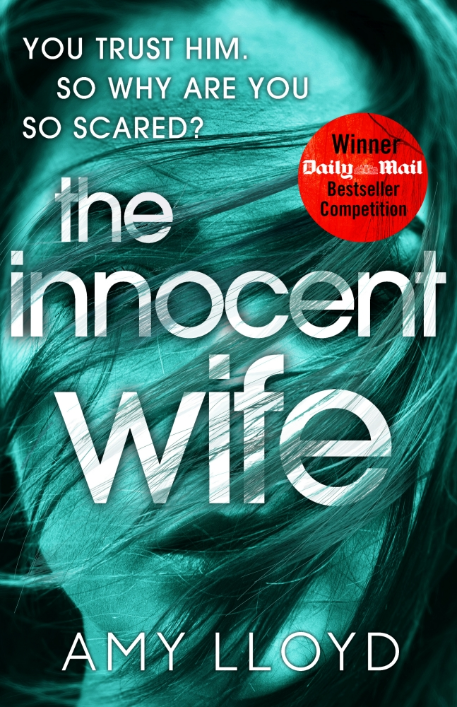 I've just finished The Innocent Wife and had quite mixed feelings on it. I still really wanted to know what happened but found it to be quite predictable throughout! Some awesome reviews though, will be adding lots of these to my TBR pile. I had the same feelings about The Couple Next Door! The ending was a real disappointment after all those twists and turns.. I have six Philippa Gregory books and haven't read a single one. Oops! Do you have a reccomendation of where to start? Now if this isn't motivation to get back into reading more often then nothing is, haha! I really want to read Big Little lies.. I want to watch the film too but always like to read the book first :) Loved hearing your thoughts on these, there's definitely a good few I'm interested in reading!